Python is a free and open source general purpose programming language. 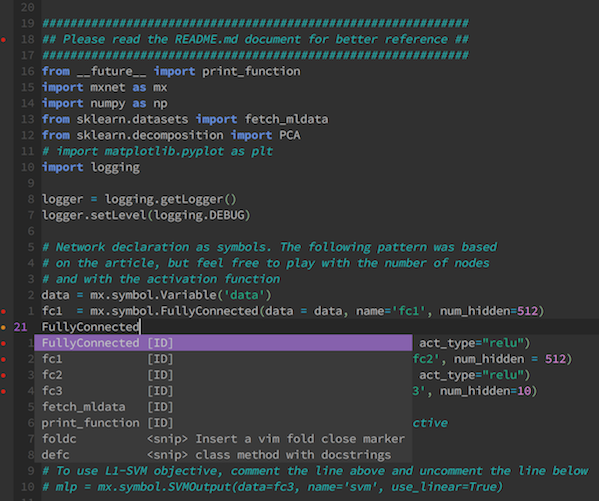 Vim is an open source text editor. This blog post talks about setting and running vim text editor as a Python IDE on Linux or Unix-like systems. I love vim and often use it to write Python code. Here are some useful plugins and tools for building a delightful vim python environment, especially for Vim8. As you can see, tmux is also one of my favourite tools in terminal.